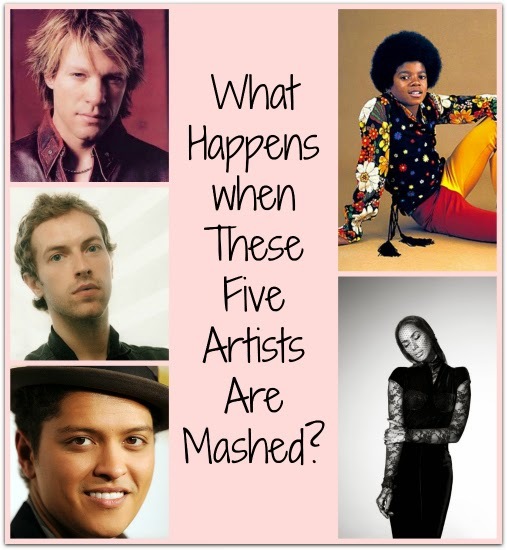 Imagine Five separate artists with Five separate songs. Now imagine these Five songs playing together. Or as the kids today call it "a MashUp"
Today, I thought I would take a break from the typical weekend Cover Songs, and instead share with you a MashUp that I recently stumbled across. I thought it was brilliantly done and worthy of sharing with you. Michael Jackson - "I'll Be There"
Chris Martin - "The Scientist"
Jon Bon Jovi - "Bed Of Roses"
Bruno Mars - "Just The Way you Are"